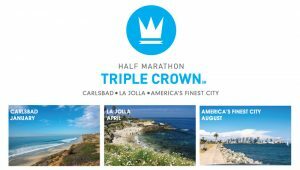 Did you know that the La Jolla Half Marathon is the second race of a three race series called the Half Marathon Triple Crown? 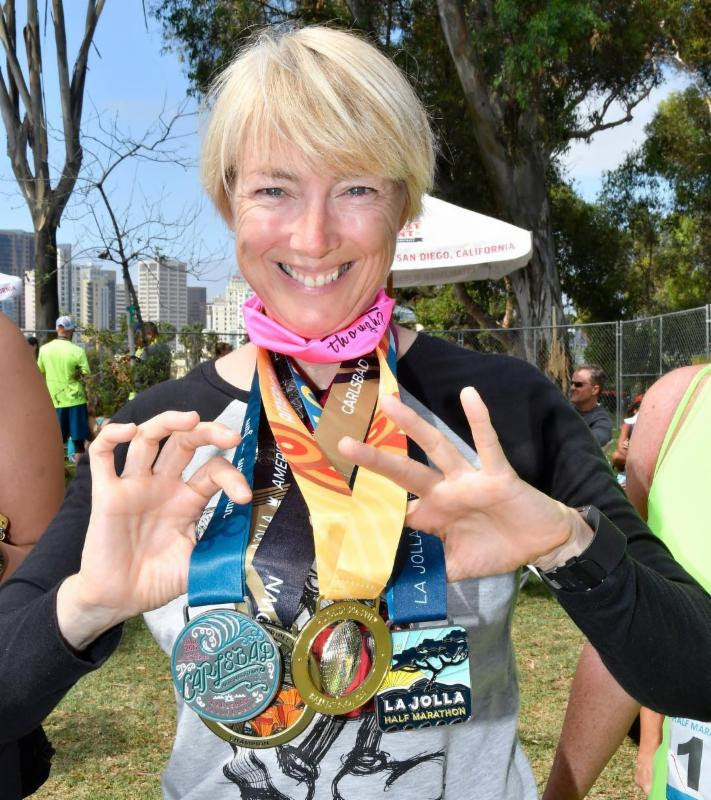 The Half Marathon Triple Crown is a fun opportunity to recognize the dedicated half marathoners who enter three top quality San Diego County events in the same calendar year. The series begins in January with the Carlsbad Half Marathon & Marathon which boasts an oceanfront course in Carlsbad, 30 miles north of San Diego. Next is the La Jolla Half Marathon and the third and final race is the America’s Finest City Half Marathon held in August. America’s Finest City Half Marathon runs from the historic Cabrillo National Monument in Point Loma, along the San Diego Harbor and winds through downtown San Diego before finishing in beautiful Balboa Park. To be a part of the series, simply register and finish each of these events in the same calendar year. Finishers of the Half Marathon Triple Crown receive an impressive commemorative series medal bringing their medal count to four! They also earn some serious bragging rights and a huge sense of accomplishment! You know you have what it takes! Come on and get your quadruple bling in 2018! Hurry, make sure you register for Carlsbad before it sells out and don’t forget to register early for America’s Finest City Half Marathon to save money and your spot!